Innovative platform using real-time student data to improve teacher instruction is backed by Steve Case, Sayan Navaratnam and John Abele. The round was led by Sayan Navaratnam of Aadya Capital and CEO of Connex Telecommunications and also includes investors Steve Case, co-founder of AOL, and John Abele, co-founder of Boston Scientific. Research suggests that throughout Canada and the United States, student’s math skills are lagging. Knowledgehook software surfaces what concepts they’re struggling with, identifies why and suggests how teachers can support them. The company’s platform is popular among teachers in more than 75% of Ontario school boards and in more than 300 school districts in the U.S. In 2016, Knowledgehook software made more than 6,000 recommendations on how best teachers could close gaps it identified in their students’ learning. Knowledgehook received early encouragement from investor Steve Case, who in May 2016 was one of three Google Demo Day judges to present the company with the annual, audience-selected Google’s Game Changer Award. “Knowledgehook is a great example of what’s happening in Waterloo. The whole edtech space is focused on some real problems. 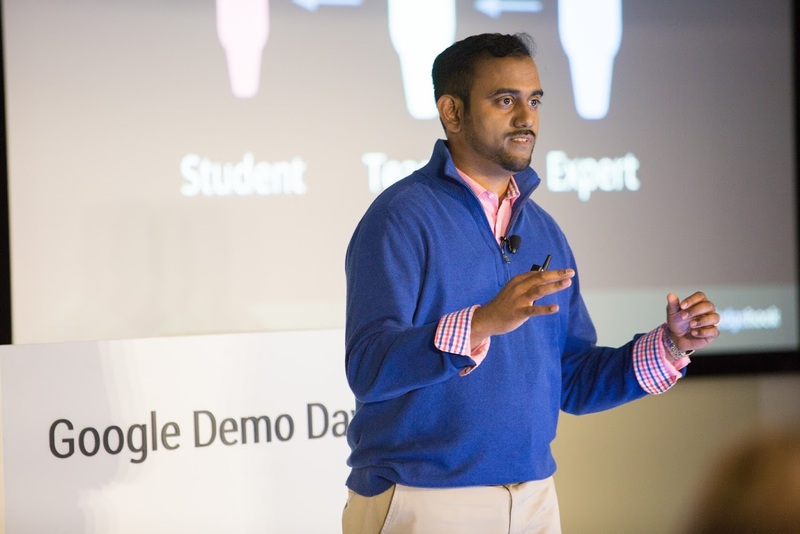 Personalized, adaptive learning systems are clearly important for the next generation of learners,” Case told Demo Day presenters. Knowledgehook, which this year was named BNN’s Top Disruptor, has expansion plans to other markets including the United Kingdom and Australia. Knowledgehook, founded in 2014, is grateful for the support of mentors from Communitech’s Rev and the Accelerator Centre’s AC JumpStart programs, and for funding delivered by Ontario Centres for Excellence (OCE). Aadya Capital invests and partners with highly select early stage companies, helping them to create, position and execute on their development. Aadya coaches companies, infuses them with operational efficiencies and surrounds them with resources for success.